Just a regulard page with left sidebar. 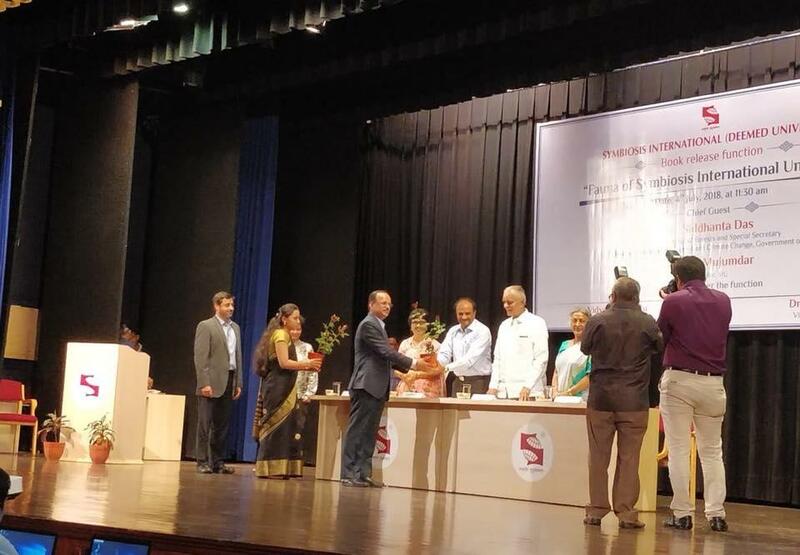 On July 4th 2018, the release of “Fauna of Symbiosis International University”, commenced grandly at the University Campus of Lavale.The book was jointly authored by Dr. Prakash Rao, Shilpa Avate and Dr. Gurudas Nulkar, veteran faculty of the Symbiosis family. Shri Shridhanta Das, Director General of Forest, MOEF (GOI) took the honour of unveiling the publication. Dr. S B Mujumdar, Chancellor, Symbiosis International University presided over the function. The book is a field guide to the 350 acres of undulating forest landscape of Symbiosis International, which is home to various birds, reptiles, insects, mammals and aquatic life forms. It contains 191 high quality photographs and information of the morphology and distribution of each species. It is an envisioned project for the documentation of precious biodiversity, and for instilling sensitivity towards community concerns and environment.